Are you the kind of person who doesn’t mind getting soaked while experiencing tons of adrenaline? 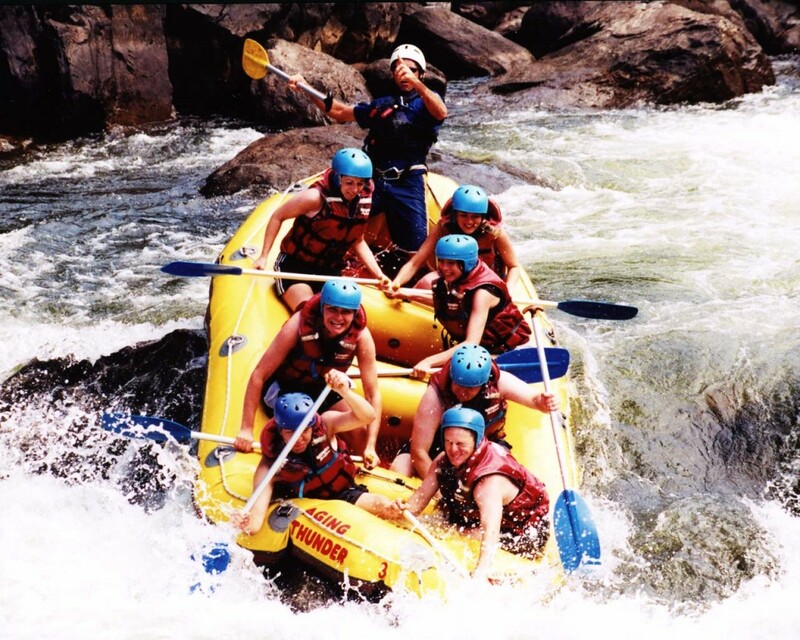 If so, then white water rafting is something you should definitely try. Imagine soaring down a raging river avoiding rocks and maneuvering through turbulent twists and turns- all with a group of like minded people who love adrenaline just as much as you do. This is the kind of hobby adrenaline junkies live for. The uncertainty of it all provides a rush like no other. Does this sound like something which interests you? If you answered yes then keep reading and learn more about this fast paced sport. Rivers are rated to give riders an understanding of what to expect. Levels start at 1 (easy) and go up to 5 (very difficult; for experienced riders only). Most beginner riders start out at level 2 and work their way up when whenever they are ready- or receive the okay from instructors and peers. Never ride a river that is beyond your experience level. Not only is it dangerous for you but for your team as well. Never fight the current: You won’t win. If a river has enough power to pull a small boat then it definitely has the power to pull you too. If you fall out then don’t panic. Turn your body forwards, extend your legs, and continue with the flow until you reach a point where you can safely exit the water. There are no brakes: Unlike mountain biking or rock climbing, you can’t stop a raft from moving forward. The river is forever pushing water forward so you have to think ahead. Planning your moves in advance can help you avoid obstacles and stay on course. Also know what you are looking at. Rocks do a good job of hiding just below the white water making them difficult to see. Experienced instructors usually know what to look for and can spot them with ease. Choose a good crew: In white water rafting, a well-trained crew (and instructor) can make the difference between a successful river run and a poor run. Make sure you are with at least a licensed captain who has been doing successful runs for a long time and has a good track record. Base layer: This is the clothing that touches your skin directly. You want something which doesn’t absorb water- like hydrophobic clothing. This is designed to preserve your core temperature and is comfortable. Mid layer: You want something that is a little thicker than your base layer. This will help insulate your body heat. You could opt to wear a layer or fleece or wool. They do a good job of keeping you dry when they get wet. As a general rule of thumb, never ever wear cotton. You would be better off wearing nothing than wearing this material. Cotton will make you cold and leave you worse off if you get it wet. Outer layer: The mission of the outer layer is to keep water out. Paddle jackets work well for this. They are water-proof and breathable. Don’t use ponchos. Not only do they look funny, but they don’t work that well. Accessories: Bring socks (remember, non-cotton), hats, and anything else that can keep you warm. Fleece gloves can keep your hands warm and also remember to bring water proof shoes too. It doesn’t matter how good you are, eventually you are going to get your raft stuck on rocks. You can always wait for the river to dry out and carry the boat out of the water (joking). First off, make sure that you are REALLY stuck. Rock the raft back and forth and see if you can wiggle it loose. If that doesn’t work then you need to try something different. If you are being held by a single, large rock then you can try pushing off of the rock. Place two hands firmly on the rock and simultaneously push and shake the raft. Make sure that you keep body weight centered as you don’t want to fall out or flip the raft over. If both of those methods fail, then it’s time for the final resort: getting out of the raft. Note that this can be extremely dangerous and you need to be very careful. Find a place where you can firmly place your feet and use your body weight to push the raft forward. Never let go of the raft or it could end up being you stuck on the rocks! You don’t have to ride solely on a raft. There are other devices which you can take down a river. Kayaks: These are specifically designed for white water rafting and are typically smaller than sea kayaks. These are popular because riders can easily roll them back over should they ever flip. Rafts: These suit large groups better because they have more room. They can handle almost any kind of river current. Catarafts: The cousins of the modern day raft. They are easier to maneuver and are made from two inflatable tubes which are attached together by a frame. Canoes: These are usually made from fiberglass and sometimes plastic as well. Again, they are easy to roll over if flipped. White water rafting is not for the faint of heart. It is an adrenaline filled hobby that is both fun and rewarding. 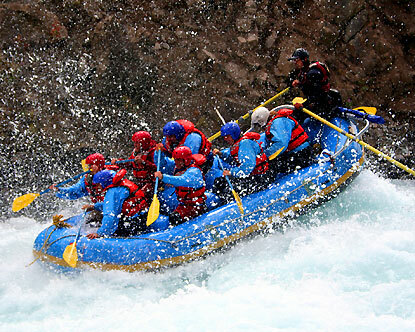 There are plenty of places around the world where you can partake in white water rafting. Always remember, unless you are very experienced never do it alone and always be sure to educate yourself on the fundamentals. 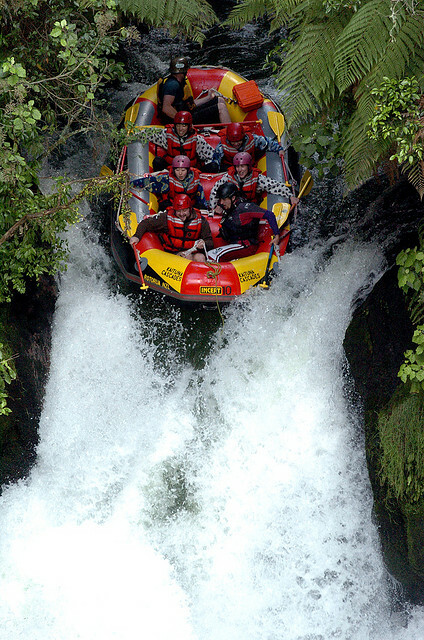 This entry was posted in Water Sports, White Water and tagged Rafting, White Water. Bookmark the permalink.